Landscape near Andreba a town in the Sofia Region of Madagascar. Destination Madagascar, the big red island. Madagascar is the largest African island situated in the Indian Ocean, about 450 km (280 mi) east of the coast of Mozambique. The fourth largest island in the world has been isolated for about 88 million years and many of its plants and animals are unique to the island. The prehistoric breakup of the supercontinent Gondwana separated the Madagascar-Antarctica-India landmass from the Africa-South America landmass around 135 million years ago. Madagascar later split from India about 88 million years ago, allowing plants and animals on the island to evolve in relative isolation. With an area of 587,041 km², the island is slightly larger than France, or almost twice the size of the US state of Arizona. 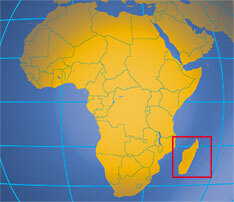 Madagascar is geographically relative close to: the Comoros, Mauritius, Mozambique, Réunion, and South Africa. Madagascar has a population of more than 22 million inhabitants. Capital and largest city is Antananarivo. Spoken languages are Malagasy and French. Madagascar, the Red Island, the Rainbow Island, the Eighth Continent, there are many names for the world's 4th largest island. Madagascar is situated in the south western area of the Indian Ocean east of the coast of Africa about 400 km off the coast of Mozambique. The island is recognized as one of the world's top ten hotspots for biodiversity. Official site of the Malagasy National Assembly. Madagascar's Ministry of Foreign Affairs. Information site of the Permanent Mission. The Embassy of Madagascar in Canada. The Madagascar Embassy in Switzerland. General Consulate of Madagascar, South Africa. List of Foreign Diplomatic Missions in Antananarivo, Madagascar. List of Malagasy Diplomatic Missions abroad. The National Institute of Statistics. Searchable map/satellite view of Madagascar. Searchable map/satellite view of Madagascar's capital city. 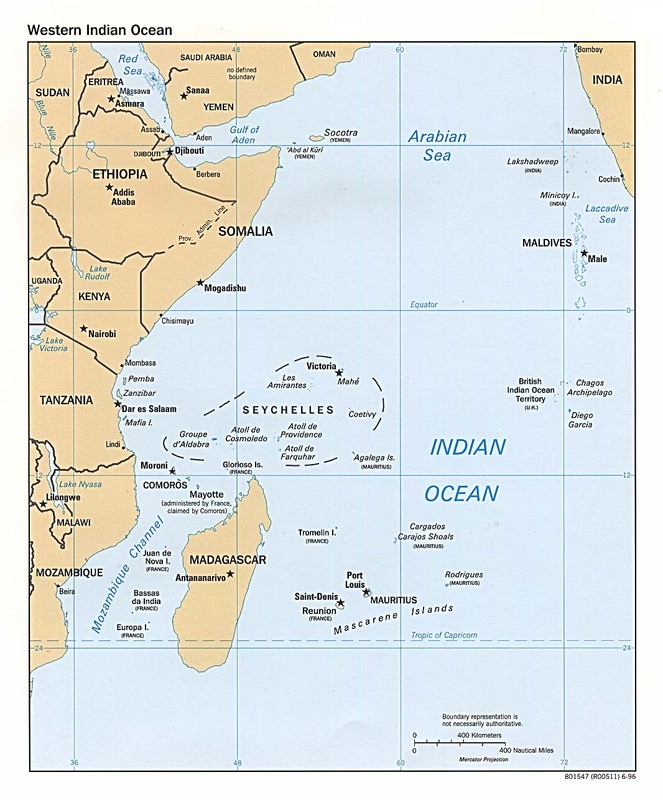 Political map of the West Indian Ocean. 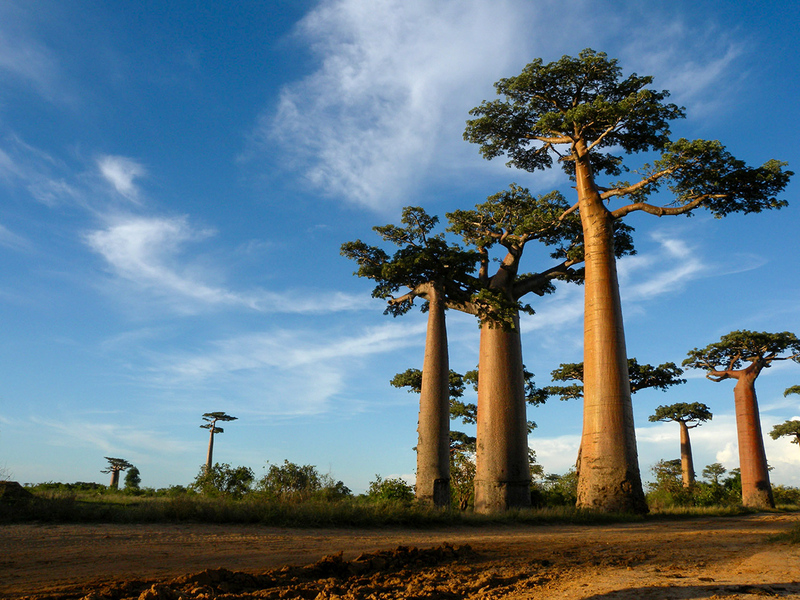 Madagascar's grassy plains which dominate the western landscape are dotted with patches of deciduous forest, and baobab trees, while the south is characterized by desert and spiny forests. News on relief, development, social, economic and political affairs. Artists, lyrics, bibliographies and discographies of Malagasy musicians. Chamber of Commerce, Industry, Craft, and Agriculture. With information about the Airline and Madagascar. The FCE train line links the highland city of Fianarantsoa with the east coast town of Manakara. 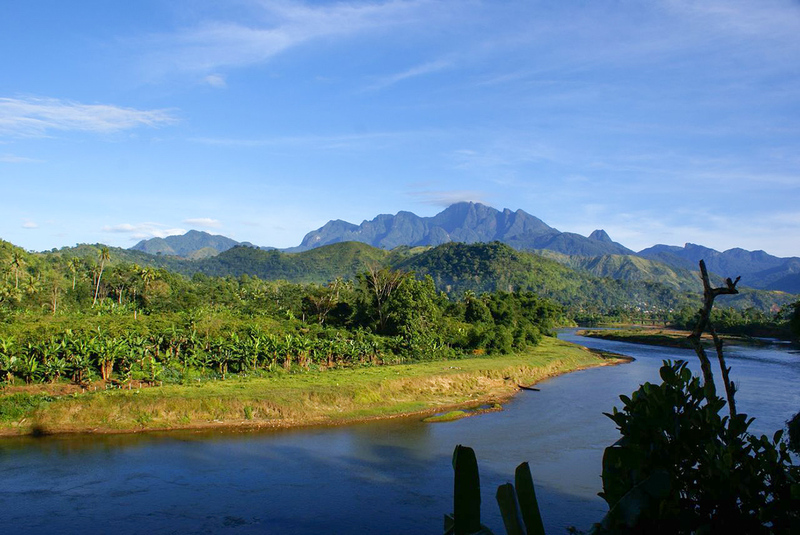 Lokoho River in Marojejy National Park with Marojejy Massif in background. Discover Madagascar: accommodation, attractions, festivals, events, tours and much more. 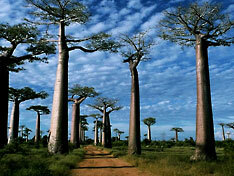 The official site of Madagascar Tourism, provides travel and tourism information. A country guide made by Air Madagascar. A guide to Madagascar and its unique and diverse species of wildlife. Official site of the city of Antananarivo, Madagascar's capital (in French and Malagasy). The autonomous University of Madagascar is the primary public university of Madagascar. Diademed sifaka in Andasibe-Mantadia National Park, a protected rainforest area in eastern Madagascar. 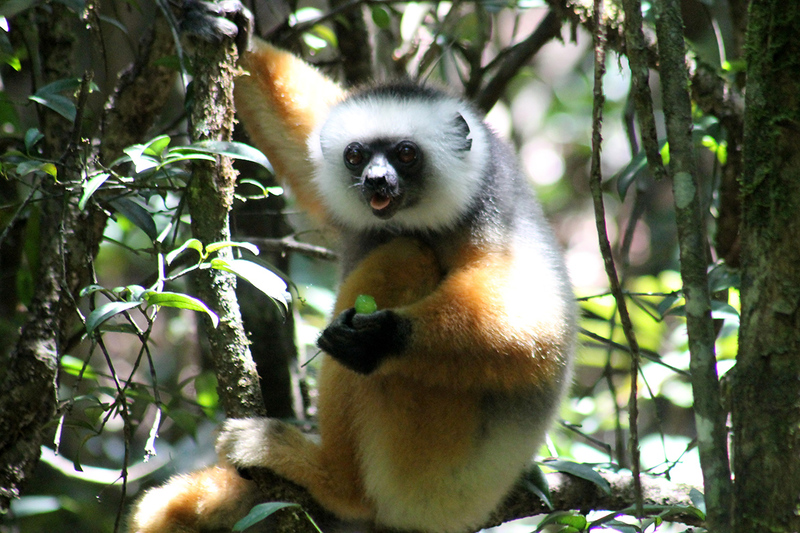 A Malagasy non-profit association, which organises and pursues various conservation projects in Madagascar. David Parks and Larry Barnes Madagascar site - A photographic tour of Madagascar. The focus of RBG Kew's programme in Madagascar has centered on conservation and sustainable utilisation of Madagascar's plant diversity. History, Culture, Cuisine and Language of Madagascar. Wikipedia article on Madagascar's history. Karen Fung's collection of Madagascar related resources.